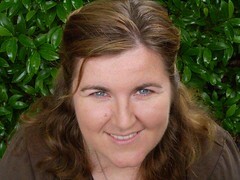 Lisa Thompson is our June contributor on EQUIP book club. "I came to know Jesus after a friend invited me to church. Actually, to be honest, the only reason I came back the week after was because there was a cute guy there. Over the next 6 months or so though I came to understand my desperate need for a Saviour and God's grace in providing Jesus. The funny thing was, I didn't ever see the cute guy again! What else can I tell you about me? I love working as an Associate Minister at St John's Anglican in Parramatta where I train and equip women. I also enjoy experiencing different cultures and thinking about this big, amazing diverse world that God has made. I'm an extrovert so my favourite days involve people. Don't really care what we do, though I do believe that most days are significantly improved by Yum Cha!"